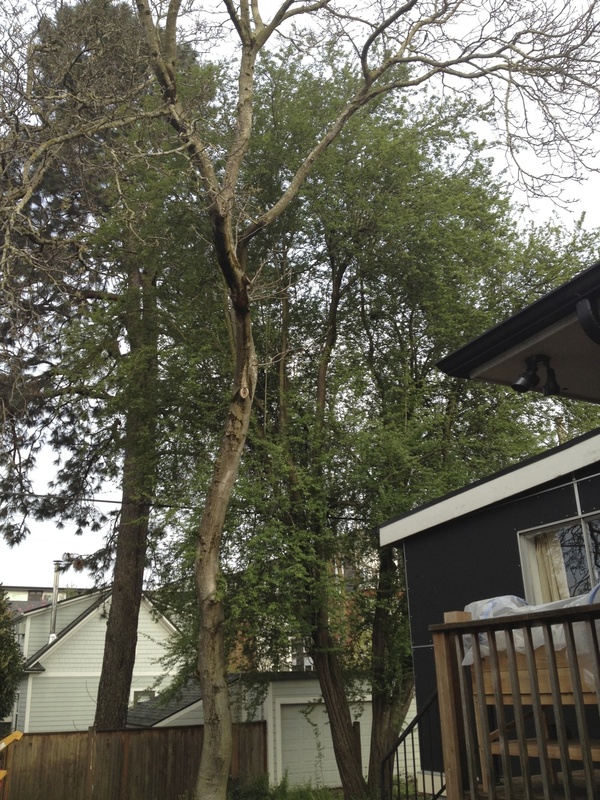 Trees located on desirable urban lots often fall victim to the needs, real or perceived, of developers and homeowners looking to build. In the case of the Borthwick 3rd unit, the original design was refined with input from several arborists to retain a significant, beautiful old Black Walnut, but a Hawthorne and smaller Black Walnut both had to be removed to make room for the new dwelling. See before and after pictures below. 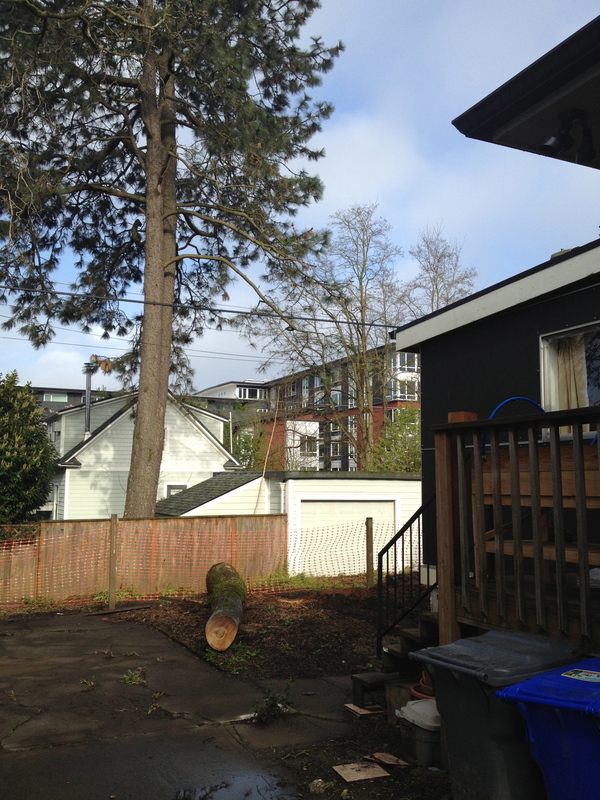 However, in the spirit of repurposing whenever possible, sections of both trees were saved and re-milled. The hawthorne will go to a wood obsessed, furniture building friend who brought his version of an "Alaskan Chainsaw Mill" to complete some rough milling onsite. The black walnut was milled on site with a more sophisticated "Wood-Mizer" portable mill into 1 1/2" thick slabs. These slabs will air dry until ready for final planing into stair treads for the new unit.